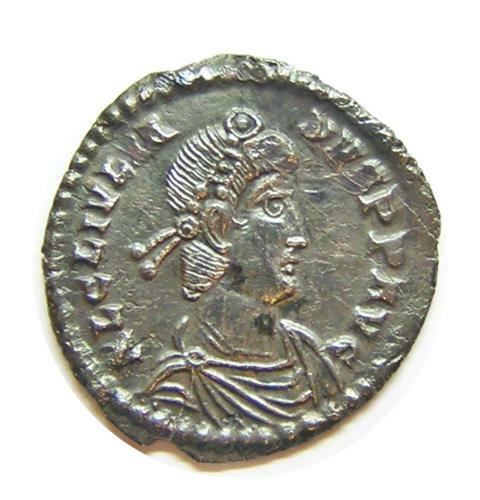 This is a nice excavated ancient Roman silver Siliqua, of emperor Julian II, dating to 360 - 363 A.D. This coin is in at least EF condition (in my opinion), with a superb portrait and bold lustrous reverse. This coin was minted at Lugdunum (Lyons in France) mint mark LVG. It had traveled across the English Channel,being discovered by a metal detectorist in Wiltshire. DATE: 360 - 363 A.D.